Self-adhesive, laminated labels with a wraparound color bar. Clear lamination prevents smudging and prevents cracking on center fold line. Color-coded for easy identification and fewer filing errors. 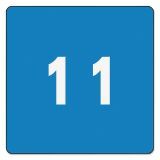 Note: A minimum quantity of 10 must be ordered, and in units of 1 thereafter. 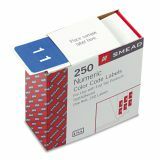 Smead Single Digit End Tab Labels, Number 1, Light Blue, 250/Roll - Self-adhesive, color-coded end tape labels are a favorite choice for medical and insurance files. Perfect for indicating primary filing numerals in straight numeric or terminal digit end tab systems. 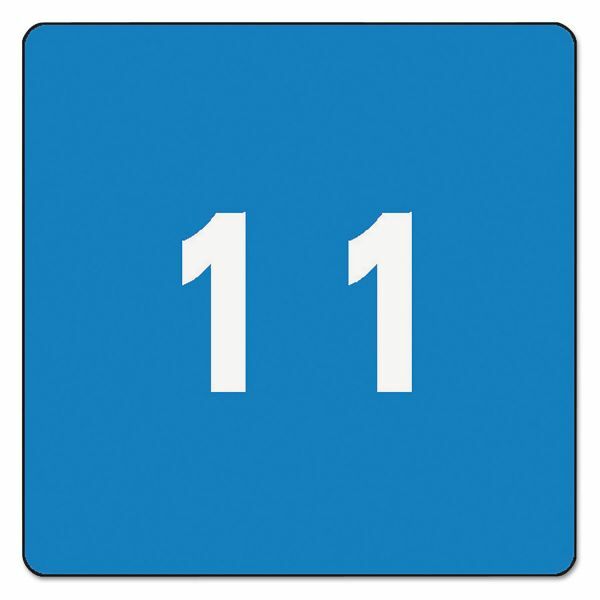 Labels follow industry standard with 10 colors to code numerals 0-9. Labels are protected by clear laminate and scored to provide wraparound color bar. Labels measure 1-1/2 wide x 1-1/2" high before folding. Easily pull out from included dispensing box."